Our work with Century 21 real estate? A moving experience. The largest provider of real estate services deserves a site that’s reflective of its stature. That’s why Century 21 came to us. 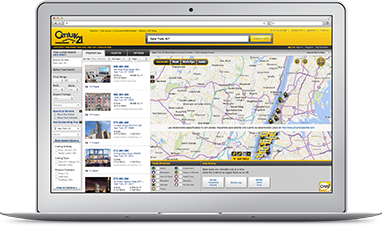 We: developed a number of online applications and tools; pioneered an approach to real estate searching that was emulated across the industry; designed and programmed the site; and continued to build on its successful launch, adding components to ensure site visitors had an exemplary experience—getting what they need when they need it and delivered in ways that solidify a positive relationship with the leader in realty. Visit the site. 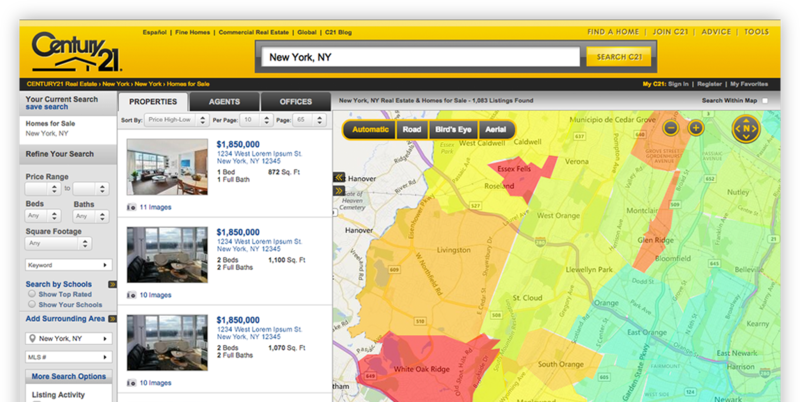 CENTURY21.com utilizes Cyberitas’ High Speed Search and advanced mapping tools.